Tom West – Tell my story. I’m sorry for the radio silence. I’ve had so much information and writing ideas to sift through from the field trip to Richmond and Petersburg that it has been hard to figure out what to tell you about first! Let me start by saying that I approached this field trip with an outcome in mind: That this was strictly a data-and-fact finding mission, to fill in the gaps about the one day Emmett was in Petersburg for an official event as Florida’s newly minted Congressman-Elect, a stop-over, as Emmett was on his way to Baltimore to attend the 1912 Democratic National Convention as an alternate. For starters, I arrived in Richmond, Virginia last Wednesday afternoon in the exact same train station Emmett did on June 23, 1912. I was met at the station by my dear friend, colleague, and fellow writer/history mystery enthusiast, Ann. The rear of the station is under renovation — a spacious, all-glass atrium structure. Travelers exit the platform and enter a gorgeous, well-preserved historic station built in 1901. Emmett would have taken the Seaboard Air Line, after making an initial connection from the Pensacola & Atlantic Line terminus at River Junction, Florida. Emmett would have traveled east from River Junction to Jacksonville, where he took the SAL up the East Coast en route to Petersburg, terminating in Baltimore. I doubt Emmett would have had to pay for his ticket, as he had two brothers who were conductors, and family passes were common. 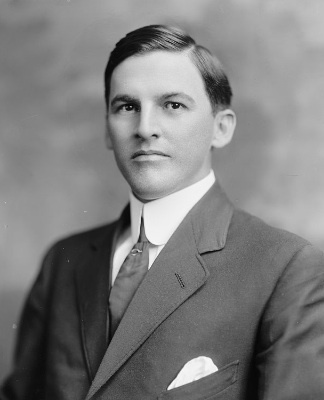 At this time, congressmen were being criticized in the press for taking favors such as free or deeply discounted railroad passes while in office. Emmett wasn’t yet in office, but I can imagine he would have been sensitive to this issue, and would have gone out of his way to avoid any impropriety. The ceiling of the Main Street Station. Lots of gorgeous details. As noted, Emmett was supposed to be in Baltimore for the opening of the Democratic National Convention, Tuesday, June 25. He had been invited by the Ladies Memorial Association of Petersburg several weeks earlier to dedicate the Florida window in the Old Blandford Church on Monday, June 24. I’m not certain if the LMA worked this date out to accommodate Emmett’s travel schedule, but it seems as if the timing of the event was planned with this in mind. The Pensacola Evening News for June 22, 1912 reported that Emmett left that evening for Baltimore, and he was traveling with Tom West, and B.S. Williams (also convention alternates). It took at least four hours to travel from Pensacola to Jacksonville, and then almost a full day from Jacksonville to Richmond. So, with that information (and a copy of the timetable from June, 1912) we estimate that Emmett’s train from Jacksonville arrived in Richmond late on Sunday, June 23. There was no indication that West and Williams attended the dedication ceremony with Emmett, and so they likely remained on the SAL until they reached Baltimore. Timetable from the Petersburg Index-Appeal, June 23, 1912 via microfilm. Emmett either caught the Richmond & Petersburg Electric Railway for the rest of the trip to Petersburg, or, perhaps his transportation was covered by the LMA. Old Blandford Church, in the middle of the cemetery. The path to the church winds through fragile and weather-worn tombstones, which were there when Emmett visited in 1912. Our first stop in Petersburg was the Old Blandford Church. We met Martha Mann Atkinson, the site manager for the Old Blandford Church. We told Martha about Emmett Wilson and his role in the Florida window dedication ceremony, and that I wanted to include that information in Emmett’s biography. Martha was leading another tour that morning, but she graciously included Ann and myself with the group, and said she wanted to hear more about Emmett’s story after the tour was over. Before we went inside, the group gathered around the entrance of the church, where we were given the history of the parish. Ann and I walked around the perimeter of the Church, and took photos of some of the more striking headstones. The marker of John Taliaferro, age 27. Once we were inside the church, Ann and I went straight to the Florida window, and sat down next to it. All of the windows are truly beautiful in Old Blandford Church, but the Florida window — I call it Emmett’s window — is really beautiful. I cannot describe to you how peaceful it is, and soothing to look at. We were told not to take photos, but I couldn’t help myself. Did you know that there are only a handful of churches in the United States with Tiffany windows? Petersburg has a national treasure. I’m surprised more people don’t know about it, or visit this site. Martha and her staff are interested in the personal stories and details attached to each of the windows. I agreed to share everything I knew about the dedication of Emmett’s window. Unfortunately, there isn’t a collection of artifacts or a copy of Emmett’s dedication speech in the archive at Old Blandford Church, but one of the ladies who was assisting with the tour told me that she has access to old scrapbooks (!) kept by the LMA, and would gladly check to see if a program, or a photo, or anything related to the June 24, 1912 dedication exists. It is likely there was an official program, because there is a reprint of the program from the dedication of the Georgia window on November 18, 1912. I would LOVE to get my hands on a program. Before we left, I sheepishly admitted to Martha that I had snuck a photo of myself next to the Florida window, and apologized for it. She just laughed and said she was more than happy to let me take my own photo of Emmett’s window. St. Matthew, the Florida window. Old Blandford Church, Petersburg, Virginia. Thank you, Martha! The article about the dedication. Notice Emmett’s name is misspelled. So much for popularity! Petersburg Index-Appeal, June 25, 1912. There’s not much published about this event, which is disappointing, considering that the dedication was made much of in The Pensacola Journal, and the Montgomery (Ala.) Advertiser in June, 1912. And, now that I know better, I believe that the ‘big deal’ about the dedication was just the Journal‘s Frank Mayes promoting Emmett above and beyond his true abilities. In June 1912, Emmett still had to win the general election in November; and, Emmett still was considered a political novice. Frank Mayes’ protege still had a lot to prove — and a lot of voters to win over — before November. Ann and I spent the rest of the day touring Petersburg, enjoying the architecture and the history. There is a lot to see, great food and coffee to be had, and some of the nicest folks you’d ever meet in one place. We plan to do another history/writing road trip again in the future. History detecting and hanging out with friends in graveyards = fun!